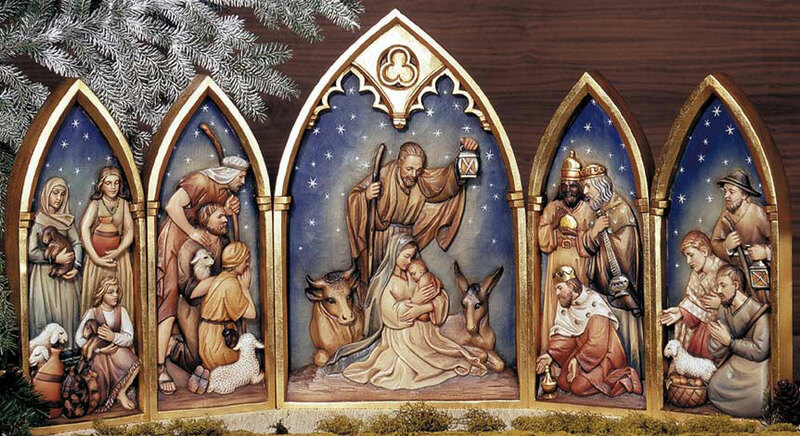 The ANRI „Relief nativity” – a nativity in pictures. 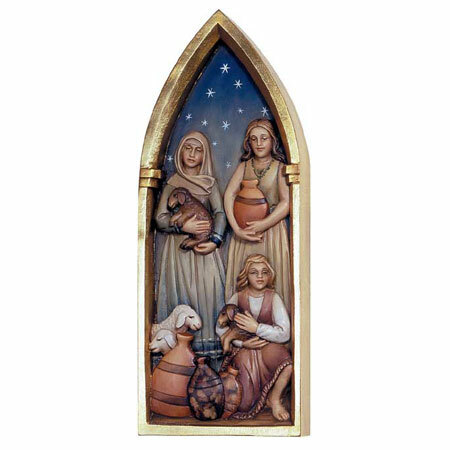 The ANRI “Relief nativity” is carved out of Linden wood and consists of five pieces that can either stand or be hung on a wall. 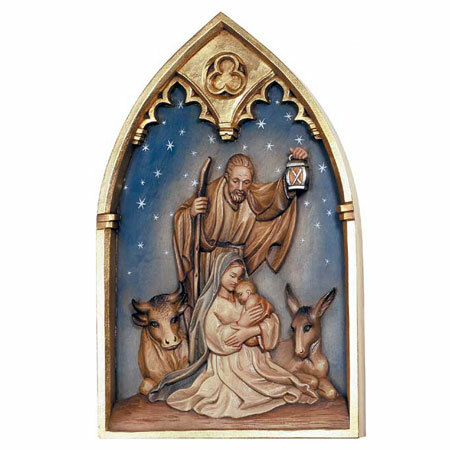 The center piece shows the Holy Family with Ox & Donkey. 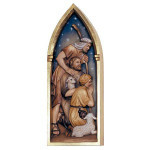 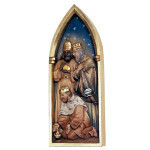 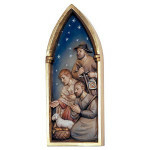 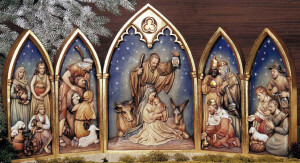 Additionally there are the side panel with the Three Wise Men, one with a group of women, and two panels with Shepherds. Click the button at the bottom of the page to browse and buy the ANRI “Relief nativity” carved out of Linden wood in our online-store.